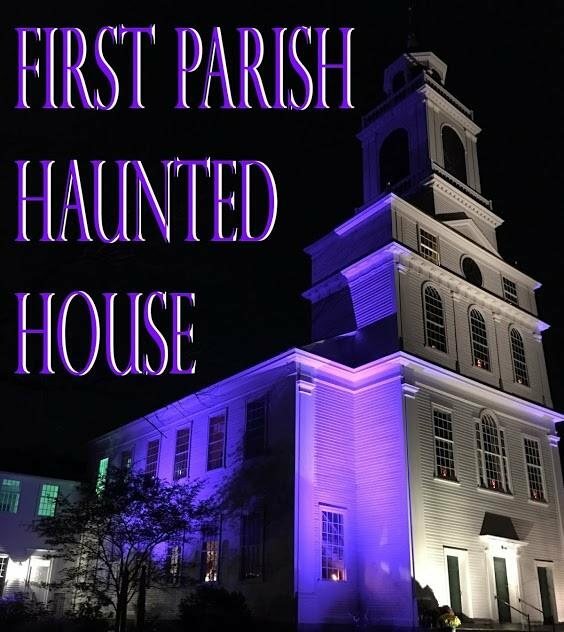 The First Parish Haunted House is back for another frightening weekend. 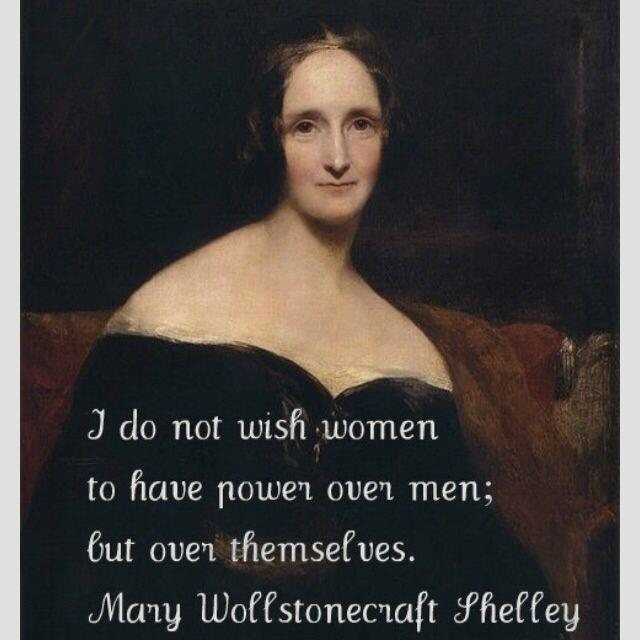 On October 19th and 20th The Haunted House will be celebrating the 200th anniversary of Mary Wollstonecraft Shelley’s classic novel, Frankenstein. 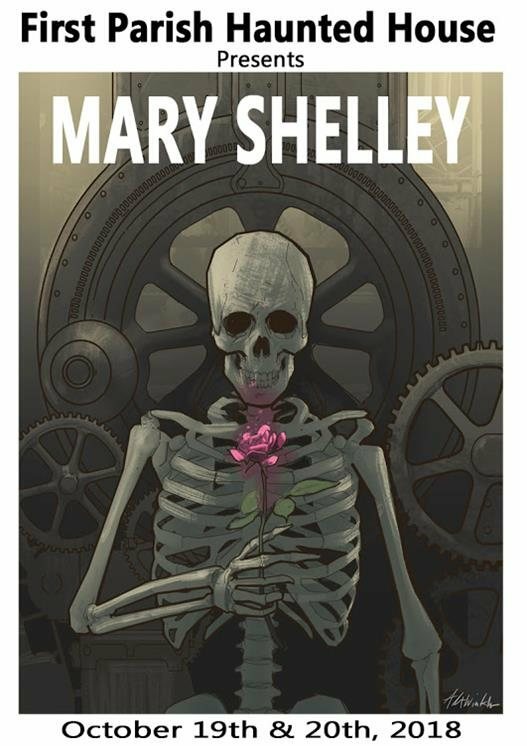 The Church on the Common will be transformed into Mary Shelly’s world. 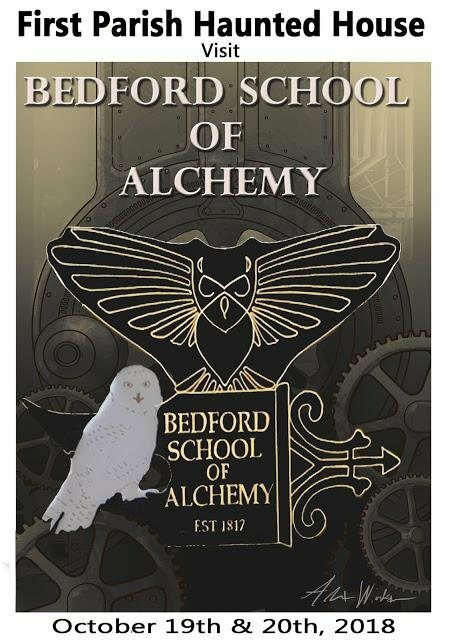 You will start in the Bedford Alchemist Society and The Bedford School of Alchemy. 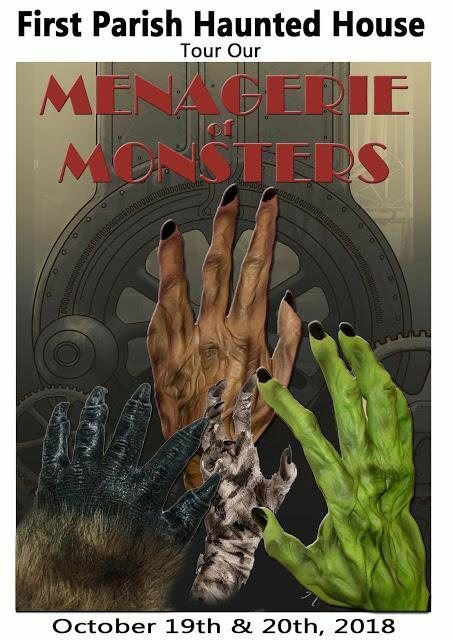 Once escaping from the alchemists you will be escorted to the Menagerie of Monsters. Assuming you survive the monsters, the guides will lead into the next room. 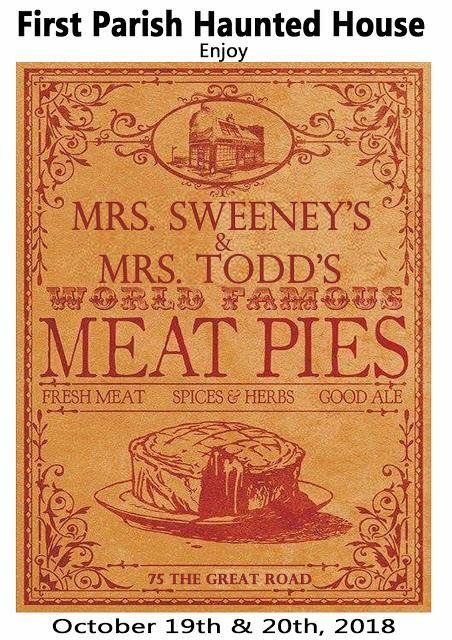 In this room you will get a behind the scenes look at to how Mrs Sweeny and Mrs Todd make their famous pie. 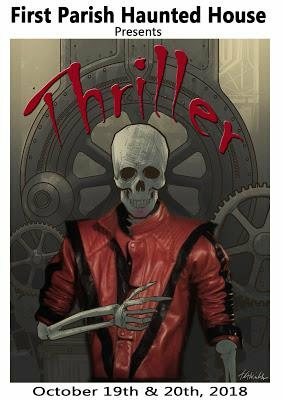 From there it’s on the Thriller room followed by a visit to the Spectral Lounge. 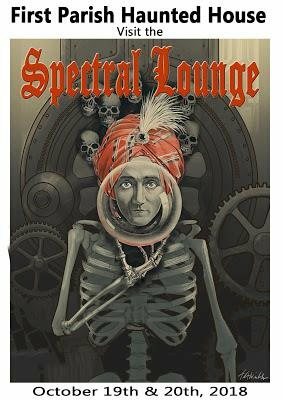 In the Spectral Lounge you will meet Jinn of the Magi. 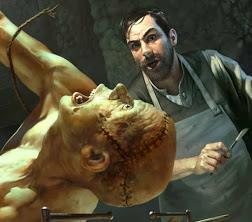 For those who are seeking more frights, the ever popular Dungeon of Doom waits for the non faint of heart. Friday and Saturday are designed to be frightening, getting more frightening as the night progresses. Saturday Afternoon is designed for smaller kids with their parents. 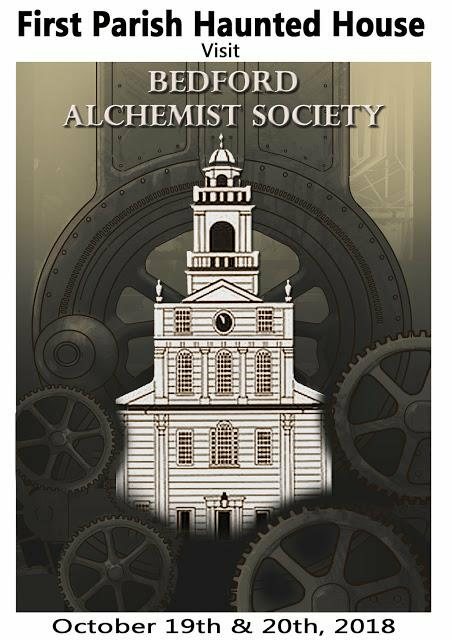 Come walk through the sets, and collect treats as you go trick or treating.